Clement’s trademark powerful and elegant steel coils are delicately balanced to look like they are ready to roll and sway. The turns and loops of Jasper challenge the inherent properties of the rigid tubular steel. The result is an implied movement, finished with brilliant, primary colours that amplify the sense of implied movement. Clement’s work in the Minimalist tradition relies heavily on the intuitive artistic practice, working through sketches and allowing his art to evolve into a sculptural form. The upward projections at the ends of his sculptures are associated with the artist’s belief in hope and joyfulness. 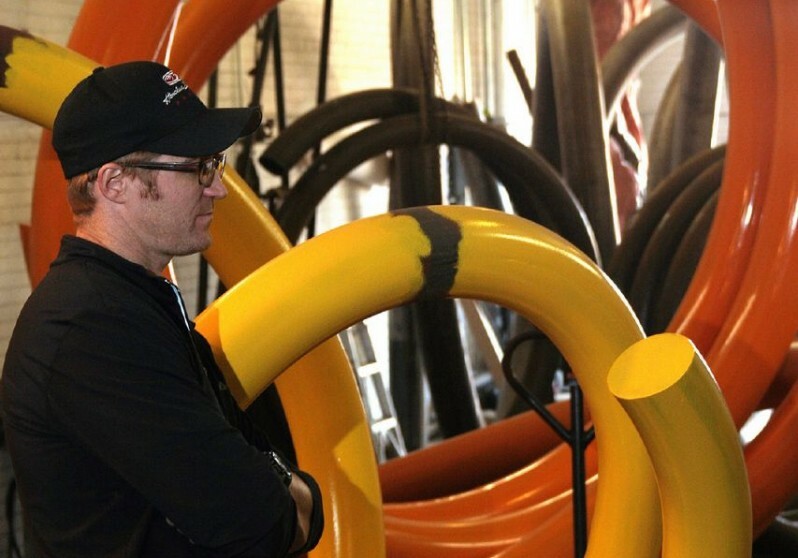 Clement is a protégée of two of North America’s seminal constructivist sculptors, Mark di Suvero and John Henry. Clement strongly believes in public art as a medium to break soci-economic elitist barriers. 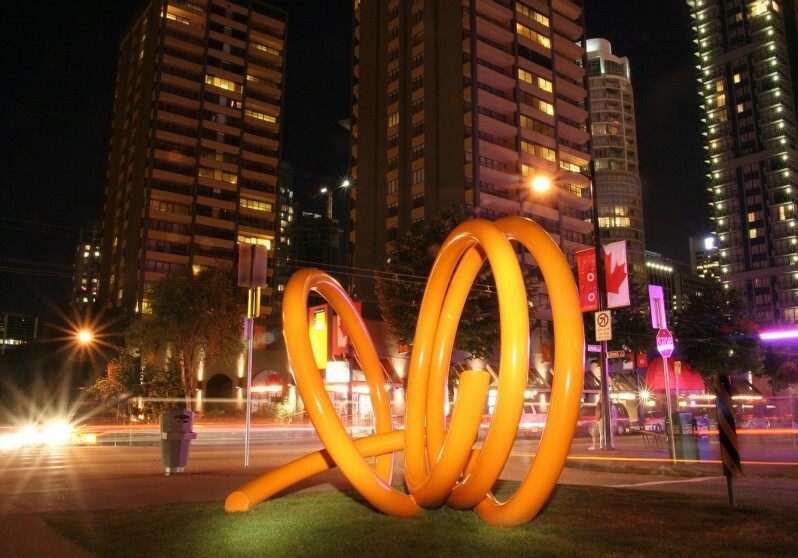 Apart from the permanent display of his artwork in Vancouver, his public sculptures are installed in New York, California, Texas, Japan and China.